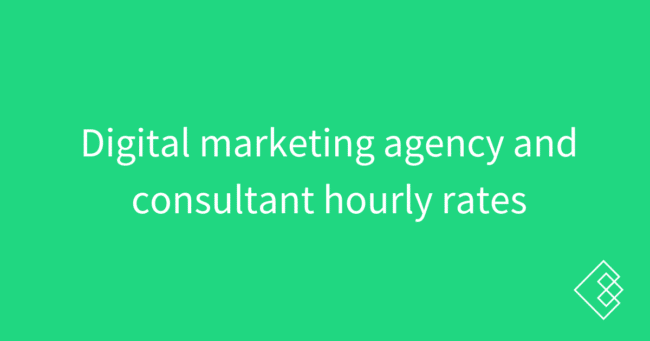 We are frequently asked how much marketing agencies and consultants charge. This entire survey was geared towards answering that question, but this question specifically deals with the overall hourly rate pricing of digital marketing agencies and consultants who responded to our survey. While it is impossible to nail down a specific average hourly rate based on our data, if we try by averaging the hourly rate ranges into the middle number for each, then the average hourly rate for digital marketers and digital marketing firms worldwide is $148.13 per hour. Using the same data, the average hourly rate for US digital marketers/firm is $167.28 and the average hourly rate for UK digital marketers/firms is $111.36. Almost half (45%) of agencies with 11-20 employees charge $100-$150/hr. Agencies seem to be, on average, charging more in 2019 than they did in our 2017 survey. That said, only 16.98% of all respondents say that they charge more than $200 per hour on average and a full 29.89% of respondents charge $101-$150 per hour for their work on average. 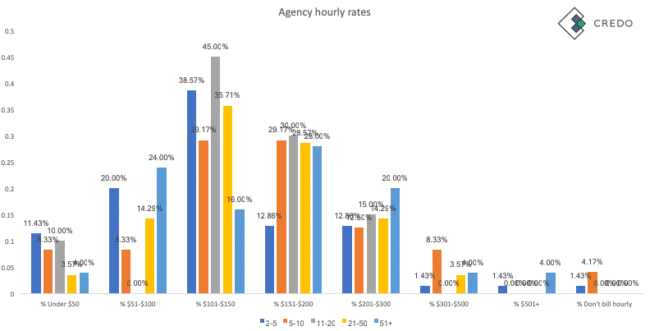 Almost half (45%) of agencies with 11-20 employees charge $100-$150/hr. Only 16% of agencies with 50+ employees charge in this range. A small percentage don’t charge hourly or don’t calculate their expense on an hourly rate. The observation from 2017 that smaller agencies are more likely to charge more as are larger agencies still seems to mostly hold true, though this year we see the larger companies charging more than in that survey. If this is true, it means that agencies are on the whole charging more now than two years ago. This is a good thing if it enables them to do better work! 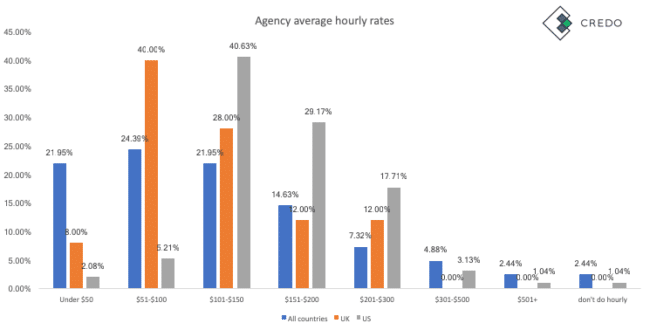 “Other countries” on average charge much less than US or UK agencies, with ~46% under $100 per hour. There were 9 in the “other countries” respondents under $50 per hour and 3 are in India. While this is not statistically significant, directionally it feels very correct. 84.62% charge less than $200/hr for their work. 68.42% of UK solo consultants say they charge $51-$100 per hour! Compare this with only 23.64% of US solo consultants. 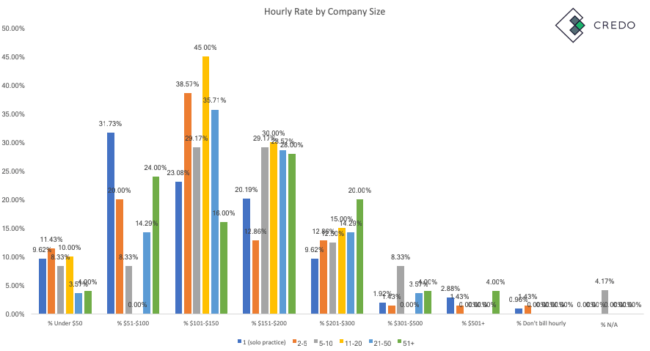 US solo consultant hourly rates are spread pretty evenly from $51 to $200 per hour. It drop off precipitously from there, but there are 5.45% of the respondents who say they bill more than $500 per hour! The raw number here is 3 of the 55 who responded. On average, US solo consultants charge a LOT more than UK consultants. 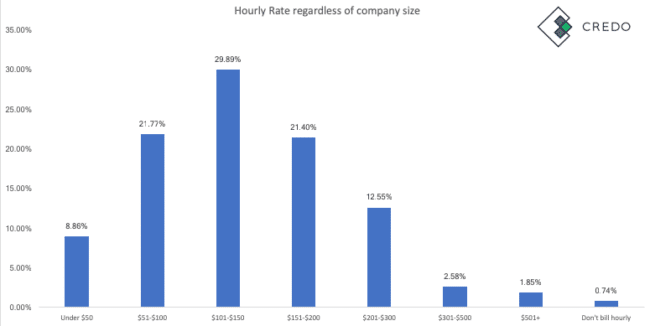 After reviewing the above data, let’s recognize that hourly rates are not a great way to gauge if you should work with someone or not. Here’s why. If one person tells you that they charge $100 an hour and a project will take 30 hours, the project comes out to $3,000 total. If another person tells you they charge $300 an hour and the project will take 10 hours based on their experience, then the cost is still $3,000. Of course, you have to determine if you think the $300/hr person can actually get it done in 10 hours. You should also ask why they said 10 hours and why the other said 30 hours. This is usually because of better processes or more experience doing exactly the work you need, but the questions are still good to ask. In this case, I would also ask for a flat fee project as opposed to an hourly project. If the project ends up taking the $300/hr person more than 10 hours, then they’ve effectively worked for a lower hourly rate. If you hire the $100/hr person and they take more than 30 hours, the same principle applies. If you were paying them hourly, then your project could easily go from $3,000 to dramatically more. Not paying by the hour in this case will benefit you, as what you really care about is the value you are getting from the project.